You know that FMEAs are a great tool to understand and prevent failures before they happen. But selling FMEAs to the big cheese in the corner office is another thing. Here’s the problem. Failure Modes and Eff….you don’t even get the full official name out of your mouth and you have lost a senior manager. “Failure Modes and Effects Analysis” doesn’t tell the person responsible for profitability, customer satisfaction and growth how FMEAs are going to help achieve those goals. Risk Management, on the other hand, will resonate with the big wigs because it is something they can relate to. And, after all, isn’t that what FMEAs are all about? 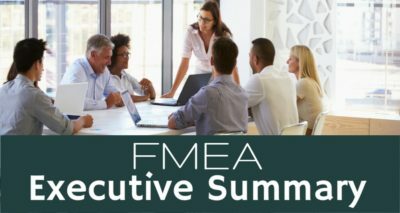 We have FMEA Resources that will help you sell your management team on FMEAs. 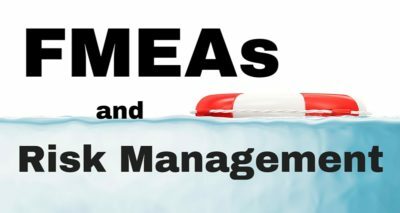 To start, we explain how FMEAs help manage risks. 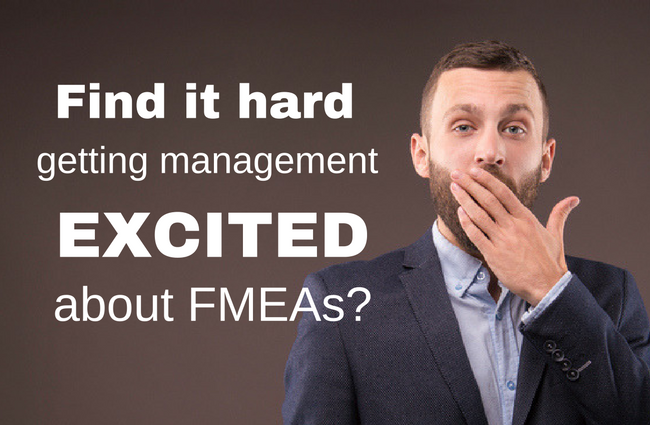 We give you a cheat sheet with seven things you want to make sure your management team knows about FMEAs. 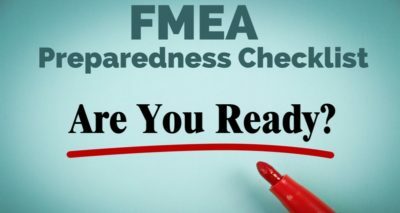 To make sure your FMEAs get off to a great start, you will find an FMEA Preparedness Checklist. And, there is a lot more! 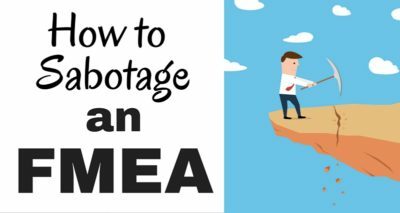 Best of all, all of the articles on FMEA-Training.com can be printed out, shared and used in your in-house presentations because they are all come with a Creative Commons License. ---FMEA-Training.com Articles by Resource Engineering, Inc. are licensed under a Creative Commons Attribution-NonCommercial-NoDerivatives 4.0 International License. Permissions beyond the scope of this license may be available by contacting us.